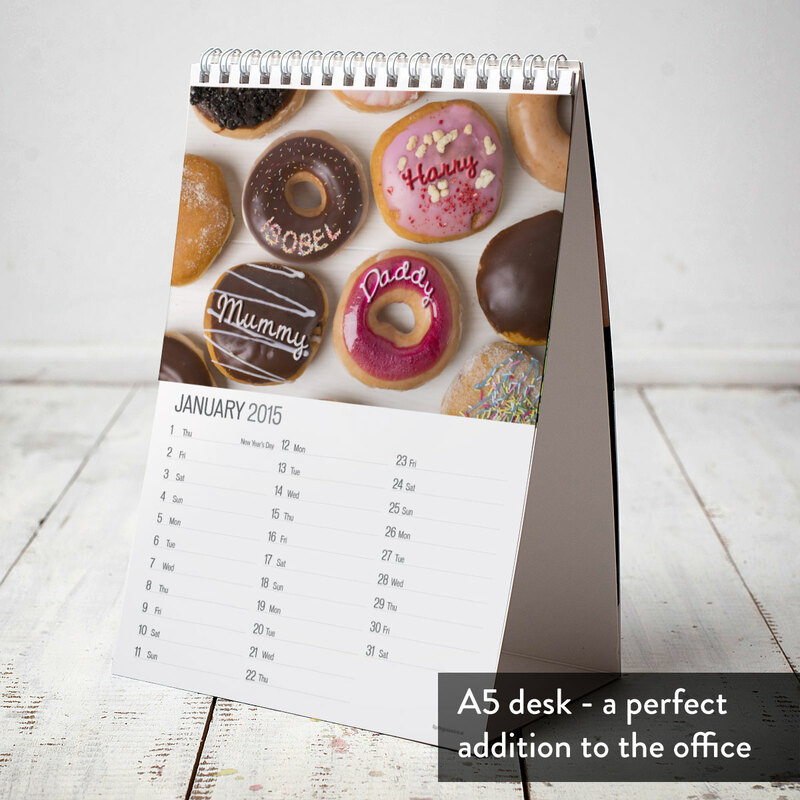 Do you wish certain moments in a year could carry on forever? 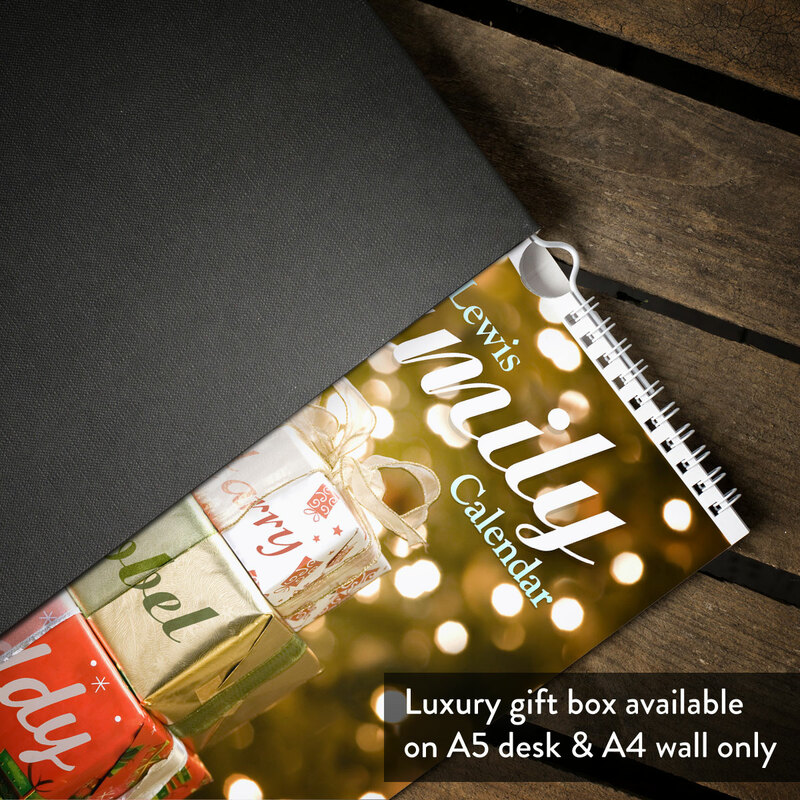 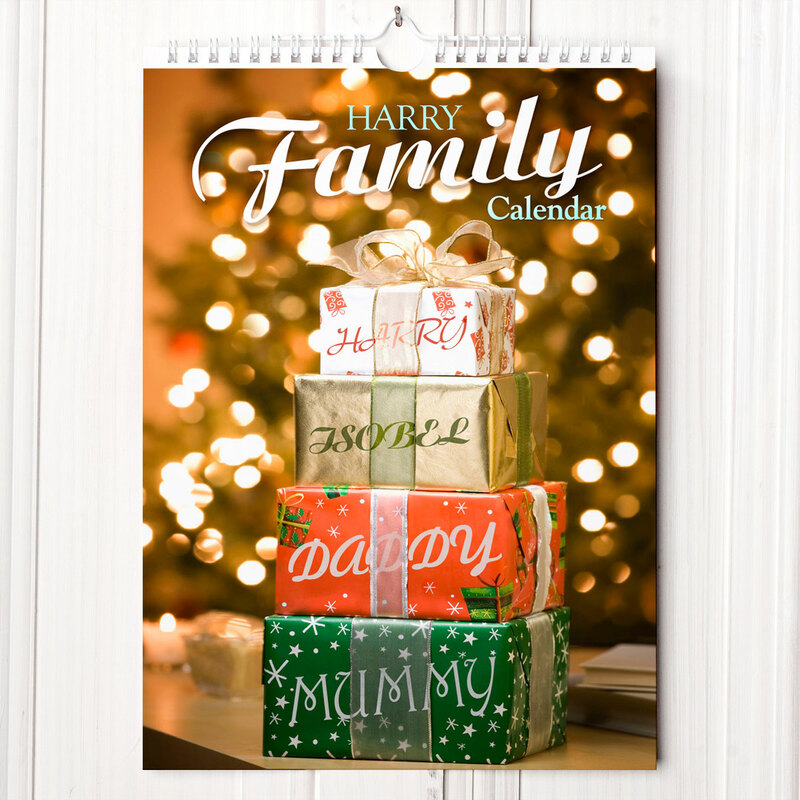 Everyone has their favourite holidays, so what better way to enjoy than to personalise this calendar with all the family member's names on! 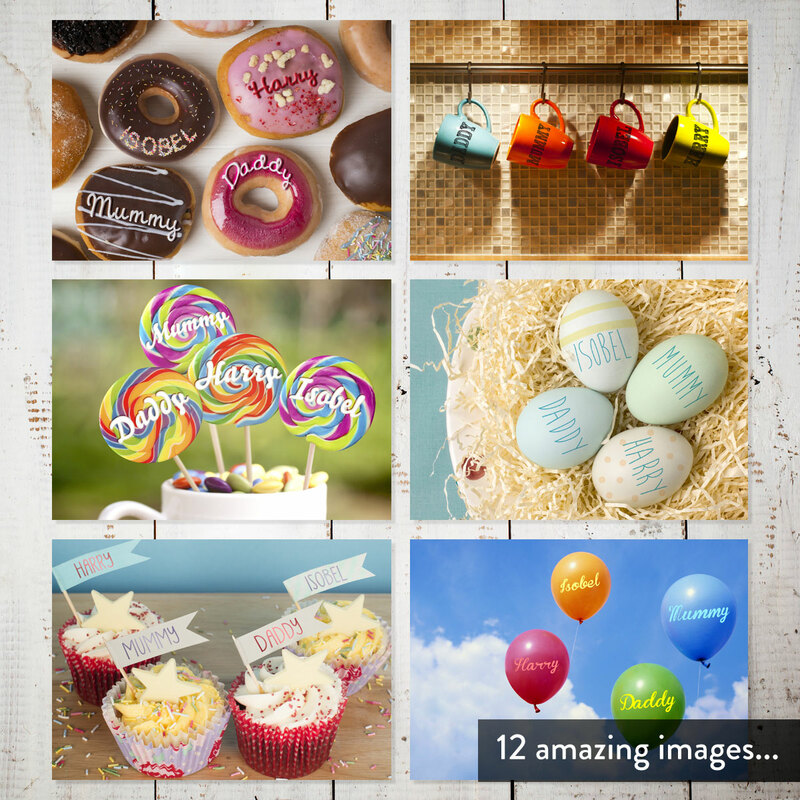 Simply enter your surname and each person's first name and see them incorporated onto monthly pictures, including the icing of doughnuts, flags in cupcakes and carving in pumpkins. 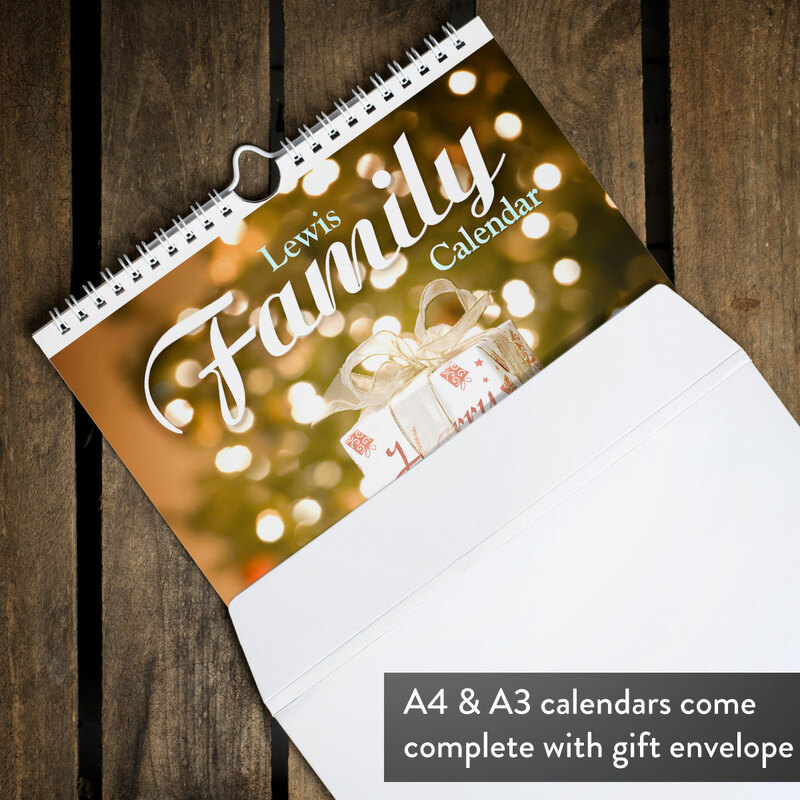 A great gift for someone who lives away from home and needs some homely comforts or just for the family fridge! 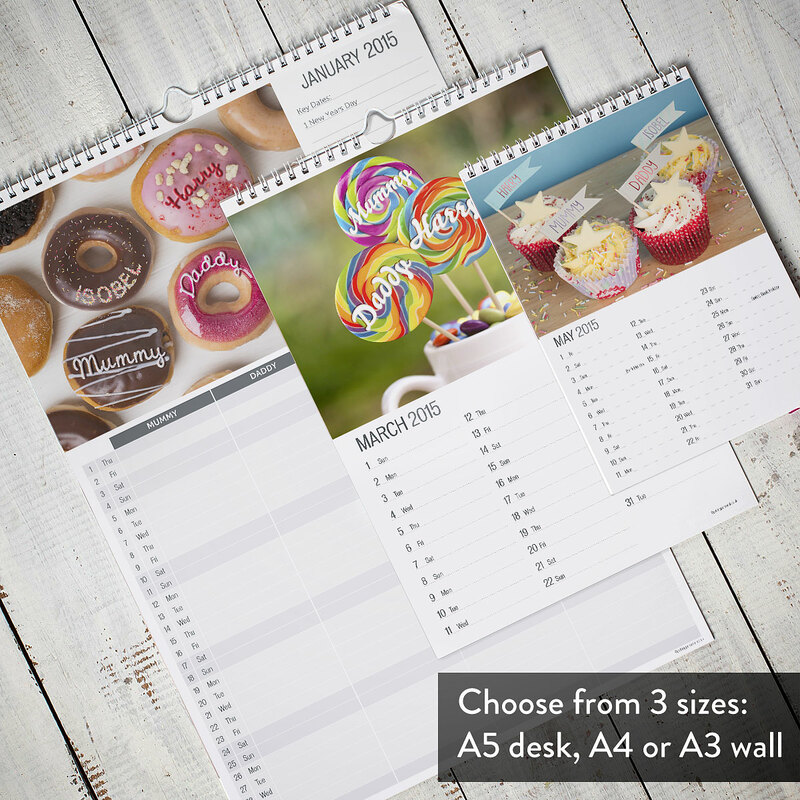 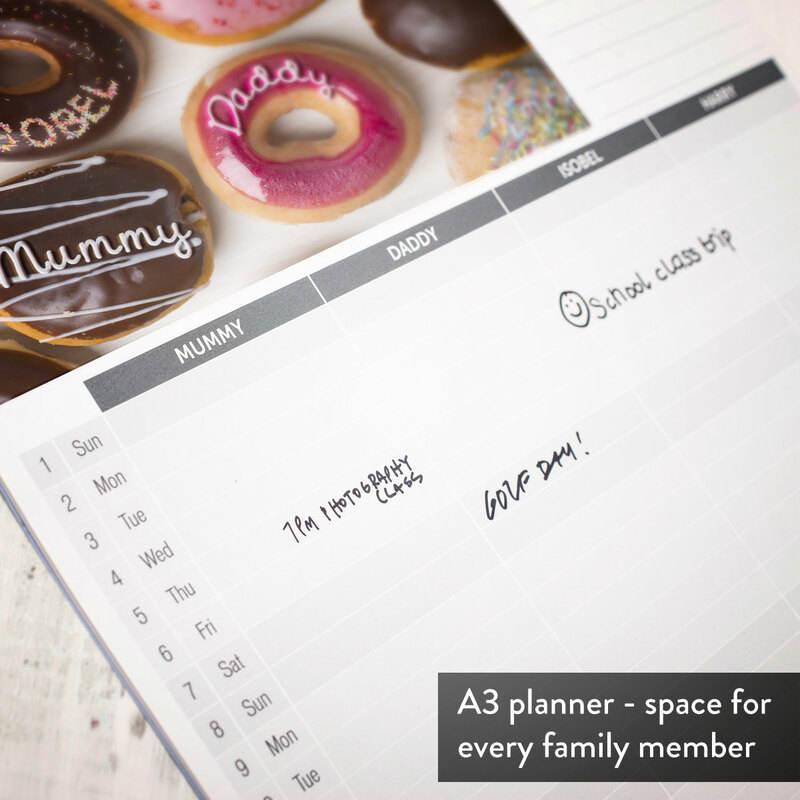 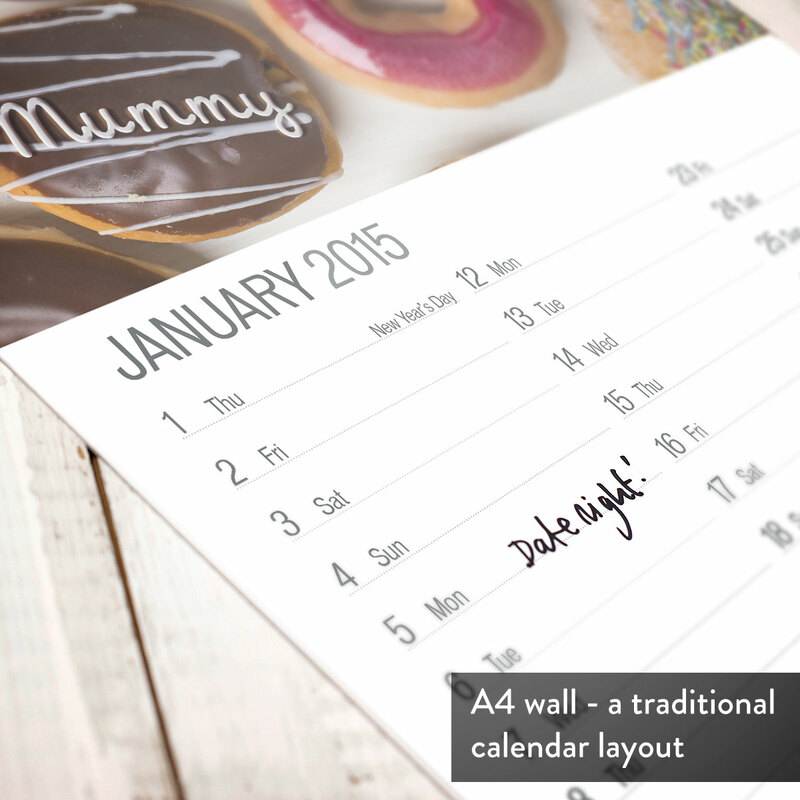 Personalise the calendar with a family name in up to 18 characters, the number of members in your family, and the first name of every member in up to 12 characters each.